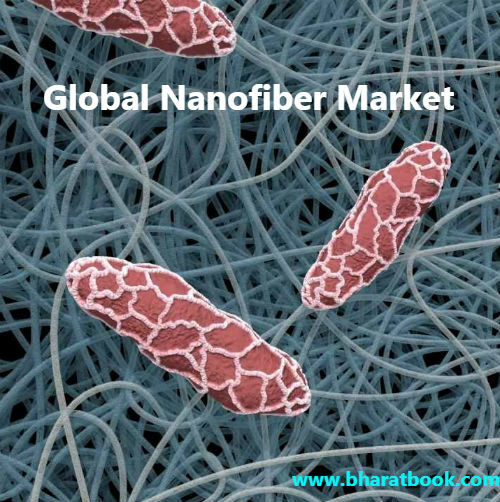 Bharat Book Bureau Provides the Trending Market Research Report on “Nanofiber Market to 2025 - Global Analysis and Forecasts by Material; and Application” under Chemical & Materials category. The report offers a collection of superior market research, market analysis, competitive intelligence and industry reports. Global Nanofiber Market accounted for US$ 1,263.6 Mn in 2017 and is expected to grow at a CAGR of 25.0% over the forecast period 2018-2025, to account for US$ 7,238.3 Mn in 2025. Nanotechnology is a major element which influences advanced manufacturing in the coming years. Pertaining to this fact, countries such as Japan, Australia, Korea, China, the US, Canada, and France has been conducting several experiments before the commercialization of nanofibers. Innovation driven initiatives in an area of advanced manufacturing arena by countries such as India and China is further expected to accelerate the number of growth opportunities for nanofibers in the forthcoming period. Investments undertaken by government and other regulatory bodies in the area of nanotechnology is projected to deliver huge and potential opportunities for the Nanofiber market. The nanofiber market is fragmented with the presence of several nanofiber providers and the competitive dynamics in the market is expected to change during the upcoming years. Governments and other authorities invest a high amount in conducting research as well as translation into commercialization of these nanofibers for a wide array of end-users. With a broad category of potential applications of nanotechnology, major of the advanced countries throughout the world has prioritized research on the nanotechnology to create advance nanofibers with an aim to fulfill the requirements of industries. It gives significant opportunities for the companies to enhance its nanotechnology which further develops nanofiber market. The nanofiber market has been segmented on the basis of material and application. The biggest advantage associated with nanofibers is the fact that it can be made from a plethora of different raw materials. Consequently, the global nanofiber market has been segmented on the basis of material into polymer nanofiber, carbon nanofiber, ceramic nanofiber, composite nanofiber, and glass nanofiber. On the basis of application, the nanofiber market is segmented into consumer, electronics, industrial (air filtration), defense and security, energy, life science & pharmaceutical, chemical & environmental, and other. The industrial (air filtration) segment is anticipated to continue its dominance in the nanofiber market. However, the electronics segment is projected to grow at a high rate in the nanofibers market. The overall Nanofiber market size has been derived using both primary and secondary source. The research process begins with an exhaustive secondary research using internal and external sources to obtain qualitative and quantitative information related to the Nanofiber market. It also provides the overview and forecast for the global Nanofiber market based on all the segmentation provided with respect to five major reasons such as North America, Europe, Asia-Pacific, the Middle East and Africa, and South America. Also, primary interviews were conducted with industry participants and commentators in order to validate data and analysis. The participants who typically take part in such a process include industry expert such as VPs, business development managers, market intelligence managers, and national sales managers, and external consultant such as valuation experts, research analysts and key opinion leaders specializing in the nanofiber industry.